Living in an apartment building means I’m secure right? When you think property theft, you don’t always think of apartment buildings. Swipe key entries, secure car parks and cameras on some of Australia’s newer high-rise buildings certainly give you a sense of confidence that apartments are safe, but that’s not always the case. Apartment buildings are becoming increasingly prone to theft and other crimes as more people ditch backyards for balconies and it is timely ahead of a very popular time for crime that owners corporations get a plan for their building’s security. 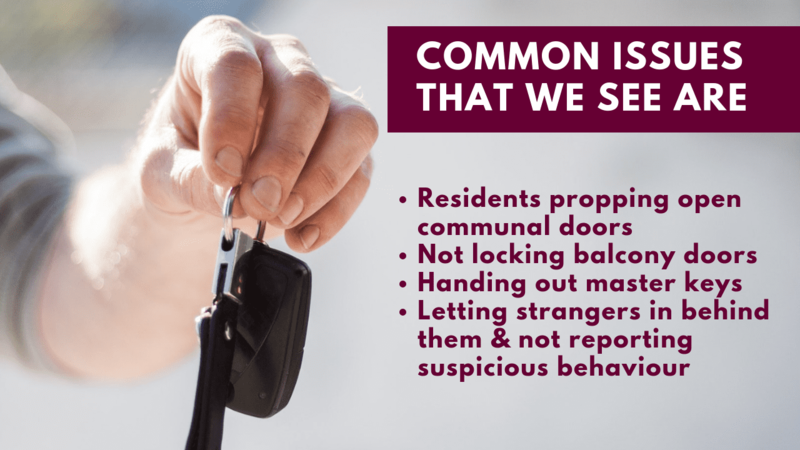 Identity theft, car theft and property break ins are some of the most reported crimes targeting apartment buildings that Ace and its strata managers have observed in recent years. Unlocked doors/balconies pose a huge property theft risk How often do you lock up your balcony? Honestly? If you’re a concerned resident or owners corporation looking to manage security within you’re residential building, you’ve come to the right place. 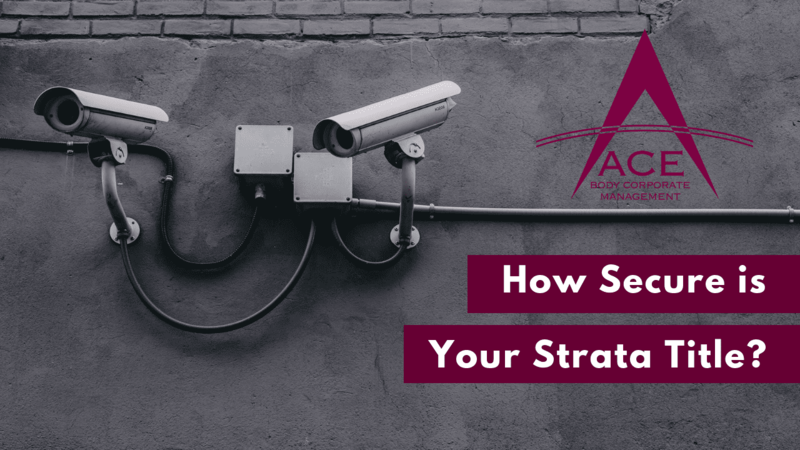 We’ve spoken with a number of Ace’s professional strata managers who are responsible for maintaining the security of common property. The consensus from our managers on the reason for apartment buildings being such an attractive target for theft often lies in the small mistakes and complacency of residents. Something that may seem harmless to one resident, can put the entire building at risk. By encouraging good habits, such as care, vigilance and common sense we’re able to stamp out bad habits across strata communities. The importance of having a strata manager means that they’re able to ensure the security of your strata scheme is up to date and as functional as possible. They also focus on the bigger picture which is always ensuring the safety of the community. Our managers have said that the upcoming summer and school holiday period is a high-risk time for communities, with empty properties, full mailboxes and fewer residents to keep an eye on things. If you’re concerned about security in your building or are looking for a strata professional, talk to Ace Body Corporate Management.